Working with experts, assessing vulnerabilities, gathering resources, forming partnerships, improving communication, training staff and leadership. This is the work of the Jewish Community Security Council which was formed nearly four years ago to improve the security posture of the Memphis Jewish community. Convened by Jewish Community Partners (JCP), the council includes representatives from every Memphis Jewish organization, synagogue, and school. “Security is something we take seriously. As the umbrella organization for the entire Jewish community, JCP is the organization to take the lead,” says JCP’s Coordinator of Special Projects Mark Wender. “Several years ago, Jewish community leaders who have a deep understanding of what is going on approached me about security,” said Stuart Frisch, a security consultant who has worked with the Security Council from its inception. “We brought together every Jewish organization and put everyone at the same table. The understanding was clear: our task was to address security, and security only,” said Frisch. Starting with a broad community assessment, the Council began its work to make our community safer. Vulnerabilities were identified and a plan of action formulated. 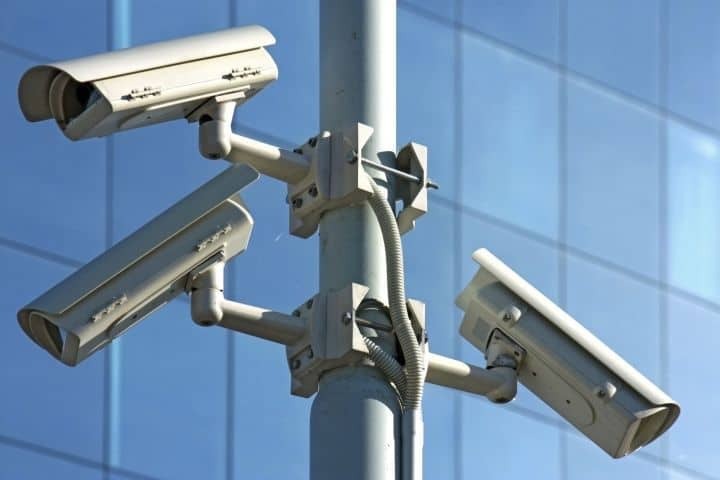 JCP operates the Memphis Jewish Federation (MJF) and the Jewish Foundation of Memphis (JFOM), both of which are sources of important resources for filling gaps in community security. From MJF’s Annual Campaign, a grant is awarded each year to support ongoing security such as JCP’s emergency text alert system, RAVE. This provides a way that Jewish agencies can alert each other instantaneously through group texts and emails. In addition, when assessments identified major vulnerabilities, JCP reached out to targeted donors and raised more than $250,000 for capital improvements such as shatterproof window film on school windows, access control and improved fencing. And just recently, in response to the current unsettling environment, a new Jewish Foundation Fund was created specifically for ongoing security needs in our local Jewish community. Beyond funding and granting, JCP’s council holds regular training sessions and leverages relationships to boost community security. The web of law enforcement agents and officers, professional security consultants, and lay leadership fortifies the Security Council with a board perspective and fresh ideas to tackle issues of security. Combined with the fundraising might of MJF and JFOM, this community-wide collaboration continues to fulfill its obligation to keep Jewish Memphis safe for everyone. 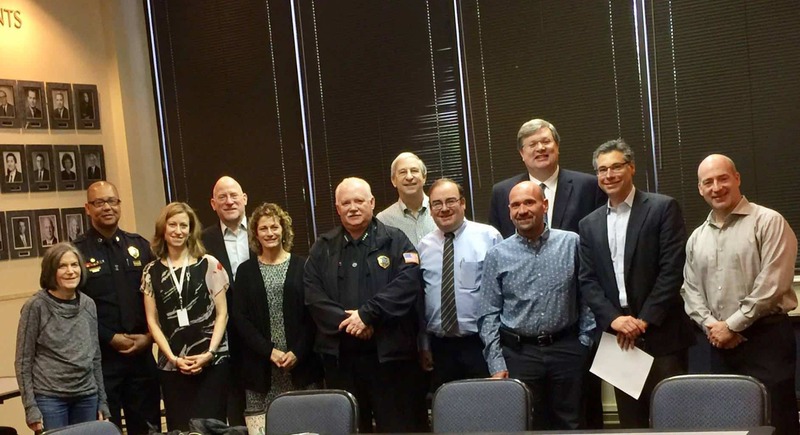 Memphis Police Director Michael Rallings (second from left), Deputy Chief Terry Landrum (center), and Mayor Jim Strickland (back row, right) met with Jewish community leadership, part of a coordinated effort to maximize security across Jewish Memphis.